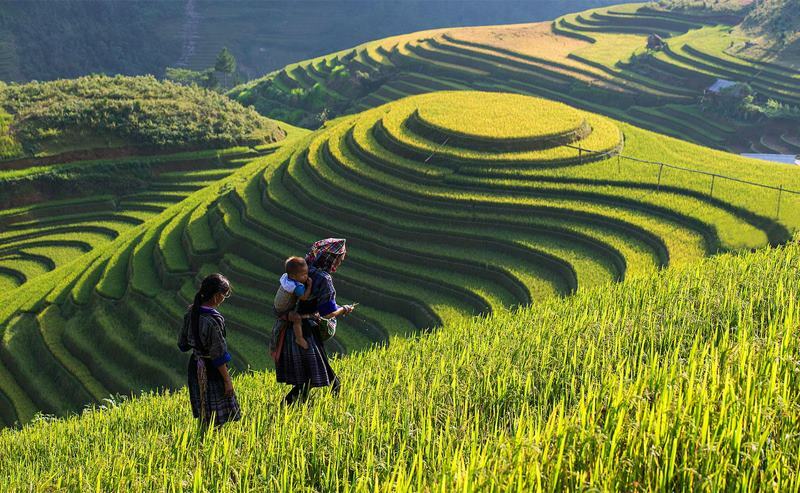 This Northwest Vietnam Adventure Expedition – Highlight hill tribe villages’ discovery tour is provided in the remote areas of Northeast and Northwest Vietnam – Hoa Binh Province, Son La province, Dien Bien Province, Lai Chau Province, Lao Cai Province, Ha Giang provine, Cao Bang province and Bac Kan Province. This 15 days trip allows you to travel to remote hill tribe villages, inhabited by the H’mong (Blue Hmong, Black Hmong, Blue Hmong, Red Hmong, White Hmong and Flower Hmong), the Dzao (Red Dzao, Black Dzao and Dzao Tien), the Tay, Dzay, the Nung, Pho Xa, Lolo, Bo Y, Lolo (Red Lolo, Black Lolo), Xa Pho ethnic minorities… We will bring you to visit the colorful and authentic ethnic markets: Sin Ho Market, Sin Cheng Market, Dong Van market and Meo Vac market. All the dates are designed and match with all of the ethnic markets that you will visit in the itinerary. Please kindly notes that, all most of the ethnic markets in Northern Vietnam is just opened one day per week and normally, just opened in the early morning. 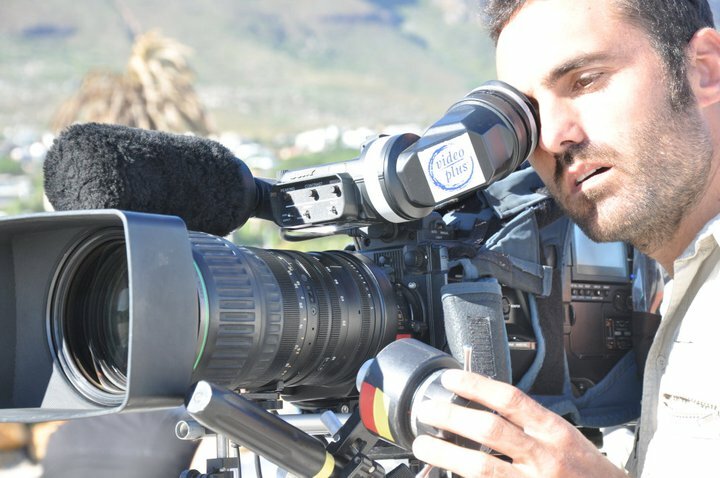 This tour covers all the main subjects for photography – Including Landscape, Portrait photography. Day 2/ Thursday Mai Chau – Son La. Day 3/ Friday Son La – Dien Bien Phu. Day 11/ Saturday: Yen Minh – Pho Cao – Pho Bang – Sung La – Ma Le – Dong Van. Morning departure to Hoa Binh. Stops on the road to admire the magnificent panorama, first on top of the pass, then on the descent overlooking the superb valley of Mai Chau. Arrival in the White Thai village of Ban Lac, where you settle for the night in a delightful family’s traditional stilted house. After lunch in your family house, you spend the afternoon strolling or biking through the villages and the rice fields. 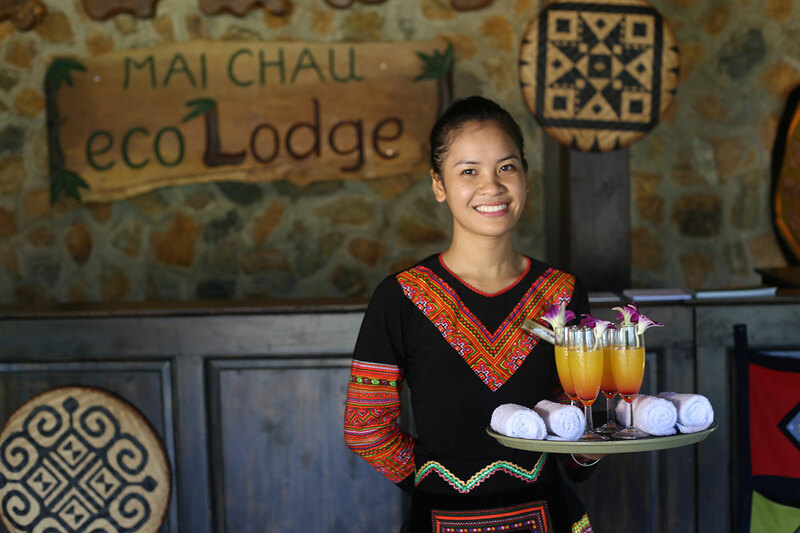 Return to Pom Coong for diner and one night at your Thai home. We take the road to Son La and climb several passes separated by the Plateau of Moc Chau, a large milk and milk product region. Lunch en route and arrival in Son La, where we visit the French Prison (excellent museum of the Colonial period, Archeology, and local minorities). Diner and one night in a Son La hotel. We take the road to Dien Bien Phu, which is the most breathtaking road in Vietnam. Before Dien Bien, we take a small mountain road – another of our little secrets – leading to the charming Thai village of Muong Phong, General Giap headquarters during the battle that you visit. We then continue the small road up to Dien Bien, where we have diner and spend one night at the A1 hotel. In the morning, visit of the battle site : the museum, the last stronghold hill, Eliane 2 trenches, the French stele, General de Castries’ bunker, etc. Lunch in Dien Bien and we then take the magnificent road going through the valley of Lai Chau. Dinner and overnight in the remote town of Sin Ho. Overnight at Thanh Binh hotel in Sin Ho. Full morning for Sin Ho market. Visit the market, meet and talk with the local people in their origin of friendly culture and traditional costumes, can say that all are still unexplored by tourist and commercialized. We will start our trip in the morning at our hotel, and then head down to Muong Hoa valley. Begining of the trip is the moment for admire the panorama view of the town and then the valley from the main road. After 4km on the main road, we start going down to the valley by the small trails through the terrace rice fields to get to Y Linh Ho hamlet, a small village of the Black Hmong people. From Y Linh Ho village, we go along the river to go to Lao Chai village (means “old village” in the local dialect). It is time for you to visit the local families, listen to your guide’s explanation about the local culture: how they live, way of building the traditional house, techniques of making clothes… or listen about the way of treatment for a sick person. At 12h00, we will stop for lunch. The lunch is served in one of the local refreshment restaurants on the side of the river. In the afternoon, we leave Lao Chai to continue to Ta Van village, the Giay people’s residence. The guide to bring you into some family: listen about their life, enjoy some green tea, learn about the differences of their culture from the other hill tribes even they leave close to each other. Tonight we will stay overnight at homestay in Ta Van Village. In the early morning you will be sure to be woken up by the households but lucky to see how is their daily life for a new day coming! Enjoy some pancakes made by your tour guide’s skillful hands. Enjoy magnificent view of Ba Ho valley or visit some local houses of the Tay. We will start at 8.30am from Bac Ha to Sin Cheng market, it takes us about 1.30 hour. This market is opened one time per week from 9.00am to 1.30pm. This market which is in the border area is far 40km from Bac Ha town (in Si Ma Cai district) so just few people know this place. The market is almost untouched by the modern life. Where you will be surprised by the way of living of the people here that you can find nowhere in the modern world. After the market we come back to Bac Ha for lunch. And then we trek up to Ban Pho village, the villages belong to Mong and Tay ethnic minority. Overnight in Bac Ha. In the morning, we will drive forward Xin Man. This district is one of the poorest districts which has border with Lao Cai province and China. Lunch will be in a local restaurant. On the way to Hoang Su Phi, we will discover significant terraces of Hoang Su Phi area. 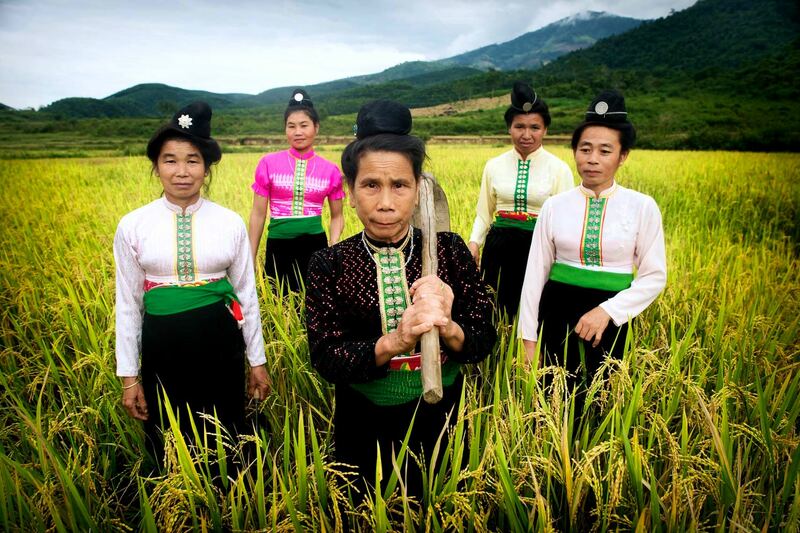 Visit Ho Thau commune of Dao ethnic minority people. Keep continues to visit Ban May, Ban Phung and Ban Diu to see locals wearing traditional customs working on terrace fields. Dinner and overnight in Hoang Su Phi. Today morning, we will drive from Hoang Su Phi to Ha Giang, stopover Yen Minh for lunch and surrounding, then head up to Quan Ba Double Mountain, visit the following communes: Lung Tam and Can Ty. In the late afternoon, we will drive back to Yen Minh. Dinner and overnight in Yen Minh. In the morning, we will drive to from Yen Minh to Pho Cao, trek to the village of Dao, Man and Ta Pan Dao, on this route, we will visit Lo Lo ethnic minority villages in Sung La commune, Hmong Hoa’s town of Pho Bang. After visiting these villages, we will keep drive to Pho cao, Sung La and Me Le. The area is populated by Dao ethnic people and encircled by truly awesome remote forested mountains. Arrive Dong Van in the late afternoon. Stay overnight in Dong Van, enjoy walking around the Old quarter of Dong Van. 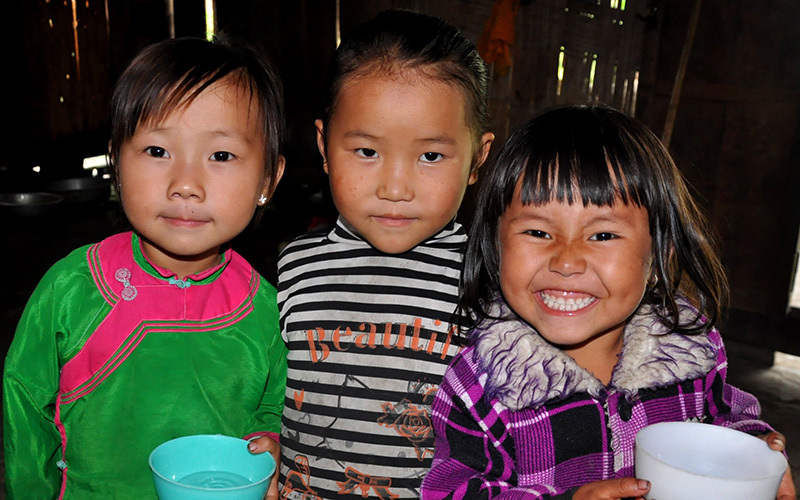 In the midafternoon, we will drive to Bao Lac, on the route we will visit some Hmong village. Overnight in Bao Lac. In the morning, after breakfast we will drive through three passes en-route. The scenery is spectacular and the road runs along the sides of the mountains. Lunch will be served at a local restaurant. In the afternoon, we will visir Ban Gioc waterfall. 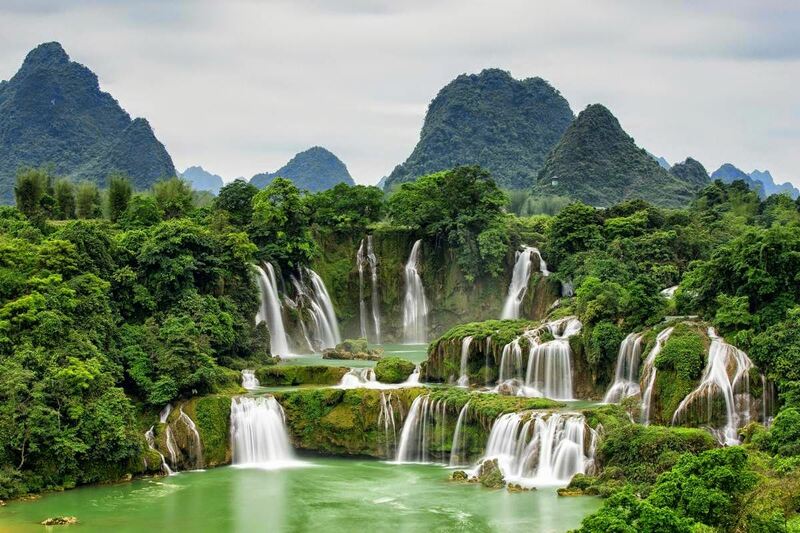 The Ban Gioc Waterfall is located om the China-Vietnam border, 85km from Cao Bang. This is one of the largest waterfalls in Asia. Keep continues exploring Cao bang, we will visit Nguom Ngao cave. It has many fascinating shapes and formations of stalactites. After visiting Nguom Ngao cave, we will arrive in Cao Bang town. 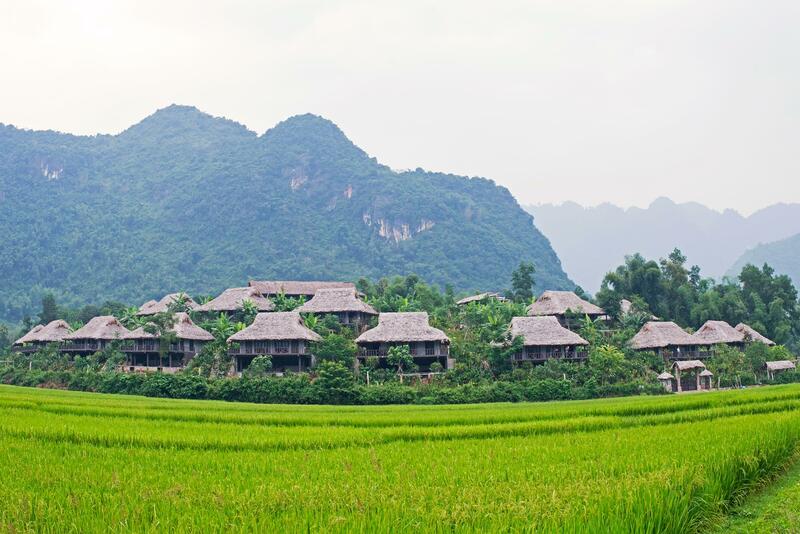 Check-in hotel and stay overnight in Cao Bang. In the morning, we will drive through Ma Phuc Pass and continue on to Ba Be National Park for a boat ride along the Nang River, with time to explore the huge Ba Be Lake, the caves of Puong Grotto, the rapids of the Dau Dang waterfall and Widow Island. 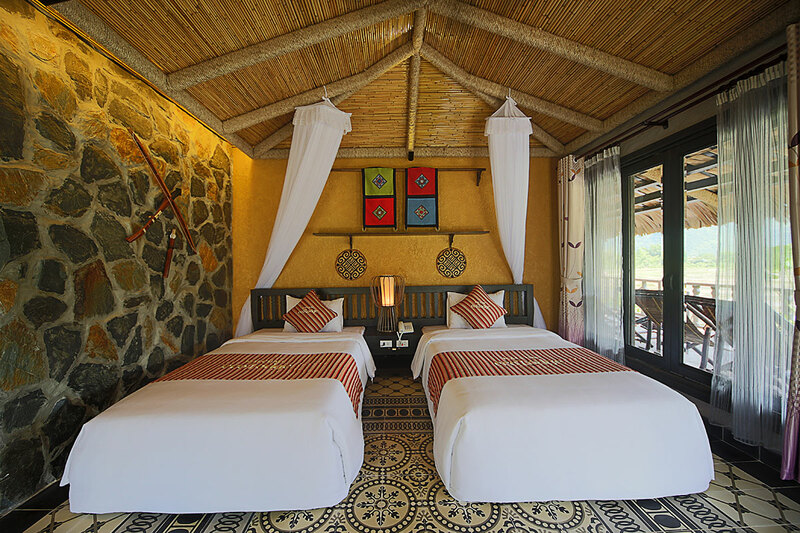 You will also visit the stilt houses of the Tay community in Bo Lu Village, where you will spend the night in a homestay situation. Private Transfers car 07 ~ 16 seats A/C during the trip with the excellent driver as the itinerary. 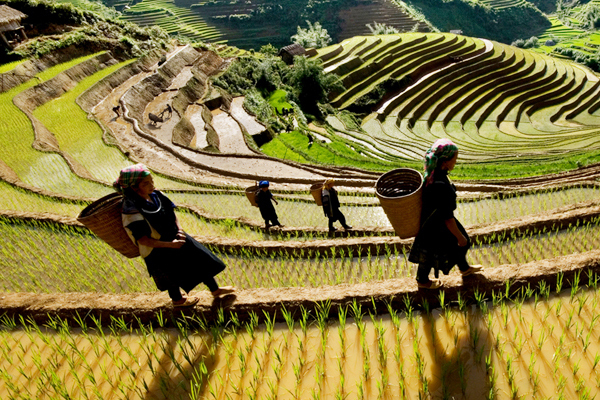 Admission fees during the sharing border between Lao Cai, Cao Bang – China borders.